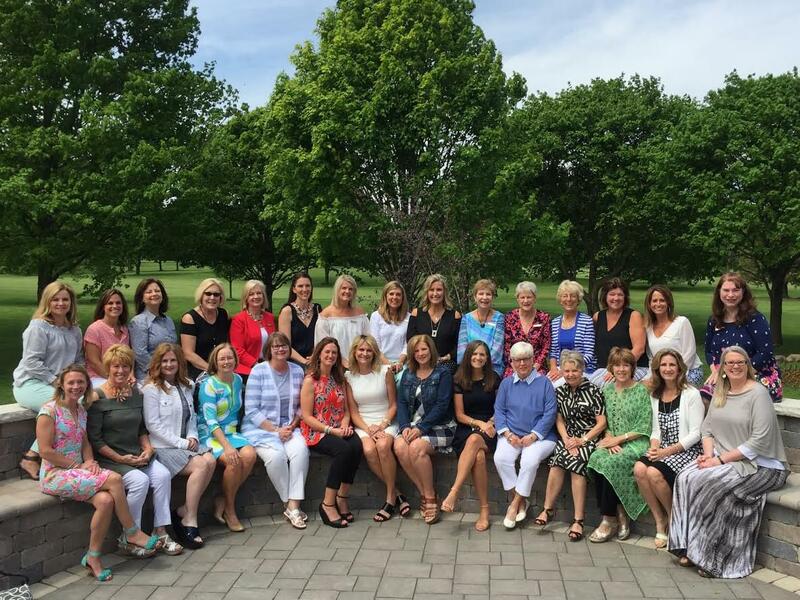 Founded in 1925, the Service League of Crystal Lake is an organization of forty-five women devoted to helping residents within our community who are in need of immediate aid. The Service League reaches out and recognizes that all members of our community are deserving of respect and concern. We provide discreet, direct, short-term assistance to those in need. Don’t display your ignorance by tittering. This gown is perfectly authentic. It was brought to me from London by my mother-in-law the year we built our home on the South Shore of the Lake in 1924. I am on my way to the dance at the Crystal Lake Country Club. Will you walk with me to the old club house, the beautiful Dole homestead now occupied by the St. Mary’s Minor Seminary? And so the Service League came into existence in 1925 under the name of the South Shore Sewing Circle. The four original members met in one of the big bedrooms at the back of the club...the one with the big fireplace, sitting near the crackling log fire, sewing. At Thanksgiving they filled baskets with food for the needy families in Crystal Lake, and at Christmastime the baskets were again distributed overflowing with sweets and toys, books, oranges and apples. Mrs. Pat Leonard, Ralph’s mother, and her sister, ... Walsh (the Leonards built and lived in the house now owned by the Isaacsons), Della Robbin, Marie Ross, Lou Burton, Dora Mueller, and Grace Bessey had joined the group. Cac’s mother, Mrs. Hull, and Edna Ferguson sewed with us. In 1926 they were living at the club. As our membership increased, our enthusiasm for charitable work gained momentum and we entered upon projects to raise more money to buy coal, food and clothing. Children needed shoes, glasses, dental and medical care. We started a milk fund and we supplied the veterans of World War I at Elgin with cigarettes. We continued to sew for the children in the Woodstock home and to give them occasional treats consisting of cookies, apples, toys and books. I can’t recall all who joined our group, nor when they became members. Our projects to earn money consisted of dances, card parties and style shows. Remember Sava Osborne modeling the big hats, which Fanny Scanion created? Ava and Billy Lindberg, circle members, were always our favorite models. Grace Bessey ran the card parties. Gladys Selz would be in charge of publicity. Grace King was our first rummage sale chairman, and a very competent one. It was the first rummage sale in Crystal Lake that I remember. Grace also ran a very successful style show in the Bathing Pavillion. The dresses and hats were supplied by Spiess. My knitting class modeled hand-knit costumes loaned me by Bernat & Sons. Rose Barrett was our expert raffler. Ducks and geese she adored. Oh, and turkeys too. These noisy creatures she kept in her yard, much to the consternation of her neighbors. This was all years before the founding of the Village of Lakewood. On one occasion we had a barn dance in the old Crystal Ballroom at the West end of the lake. This is now the Village Hall of Lakewood. For atmosphere we had a calf in one corner and some chickens in another. Of course, Rose Barrett held one of her famous raffles with live fowl. Sue Voight joined our ranks, as did Billy Lindberg, Ruth Saladin, Lou McNamara, Lenore Huling, Louise Norris, Helen Lowell, Eugenia Bond, Emily Cowlin, Rilla Alford, and Emily Streuewell. When Lottie Hungerford was president she appointed me chairman of a by-laws committee and with the help Louise Norris and Anna Rigby, the present by-laws were drafted. The membership of 4 grew to 20, then to 30, and at the present time, 35. In 1931 when Lorraine Martin and Eleanor Ganey came into the ever widening circle, the name was changed to the Service League. This was done at the suggestion of Lorraine who felt that in as much as we were doing charity work on such a large scale, the organization was deserving of a more dignified name. I should mention the card party held in the section at the west end of the lake now called Crystal Vista. It was at the time known as Cebek’s subdivision. The club building has long since crumbled away. It sure got to be a lot of hard work but was also lots of fun holding barn dances, card parties, balls, rummage sales and style shows. We often bought out the movie house but I think the most thrilling of our undertakings were the three very successful plays we gave under the enthusiastic leadership of Kitty Greer. From this point you all know what happened, so why should I repeat? 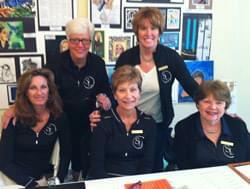 The Service League of South Shore Sewing Circle was a wonderful organization to be in, and grand people to work with. There is nothing that gives one such an inner glow or more peace and gratification than working for the good of those less fortunate then oneself. It all brings back fond memories. May you continue to prosper in your noble work.